Some years ago I was teaching a singer in a Rock band who was rather physically frail. I was working with him on developing his vocal power while eliminating tension and strain. After several weeks of lessons he had improved tremendously and his band mates were duly impressed. His range had noticeably increased as had his vocal strength. Then, one day these advancements seemed to totally vanish. His range had reduced as had his overall ease of singing. The power we had previously achieved had been replaced by strain. I tried a variety of my dependable remedies and each was thwarted by an unusual degree of tension and vocal stiffness the likes of which he had not had before. As a few weeks of lessons passed with the same difficulties persisting I became totally baffled. But as I intensified my observation of him and what he was doing, I began to notice that his overall physical musculature had changed. Most especially I noticed that his neck muscles were beginning to bulk up and looked particularly rigid. On a whim, I asked him if he was going to the gym. Proudly, he told me of how he had started a weight lifting routine a month earlier and that he was lifting heavy weights. Having been certified years earlier as an exercise instructor at a gym, I questioned him on his routine, the amount of weight he pumped and how he breathed when he did each exercise. Well, I needed to look no further. Here lay the reason for his vocal difficulties! He was lifting far more weight than he was able to comfortably handle and as he did so, he held his breath which forced his breath against his jammed shut vocal folds. This was creating such strain that the muscles of his voice were becoming increasingly stiff and strained. Additionally, his external neck muscles were becoming so tense they literally had a strangle hold on his internal throat muscles which further inhibited the functionality of his voice. I had him reduce the weight to an amount that he could lift easily while maintaining normal breathing. For a month, I had him abstain from chest (bench) presses, which gave his neck and vocal muscles a chance to heal. Even after the first week of this new routine his voice began to regain some of the advances we had previously achieved before he began his extreme weight lifting program. Not all weight lifting is bad. The main point is to use only the weight you can easily lift and to NEVER HOLD YOUR BREATH AS YOU MOVE THE WEIGHT – continuously inhale and exhale. As your strength increases, you can increase the weight if you’re after muscle bulk. If you are looking for muscle definition and strength, keep the weights light and increase your repetitions and number of sets. But in either case, the moment you find yourself holding your breath to lift the weight, reduce the amount you’re using until you can do it while inhaling and exhaling fluidly. When you breathe hard and fast your vocal folds open wider to permit more air to inhale and exhale quickly. But when you sing, the folds need to close so they can vibrate. Notice these are opposite functions and positions. Cardio-vascular exercise is good for anyone and especially singers. It not only helps to keep you looking good, but by strengthening your heart, permits a slower pulse rate when moving your body around a lot on stage. If you get nervous or very excited before going on stage, regular cardio exercise will help you to not become breathless when it’s time to sing. Similarly, if you move around on stage a lot or dance as part of your routine, your body needs to be accustomed to vigorous exercise. Swimming is a particularly excellent cardio exercise. It’s great for the entire body and gives you lean limber muscle tone rather than tight muscle bulk. Bulky muscles tend limit your range of motion and flexibility and in a worse case, they can tense your vocal muscles. Frank Sinatra used to swim to strengthen the muscles used for breath support. (Reference: Frank Sinatra biography His Way by Kitty Kelly). You may not like his musical style, but Sinatra had excellent phrasing. Exercise is good for general health and body limberness, but it will not by itself develop breath support and control for a singer. 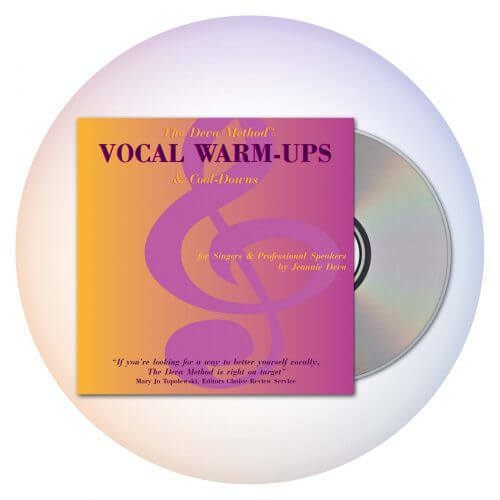 For that, you need an understanding of vocal sound production and the right exercises. I have developed specific rib cage exercises that help your body breathe and regulate air naturally, precisely and automatically for singing. Once you learn and practice these exercises you will not have to think about breathing or controlling your breath when singing. 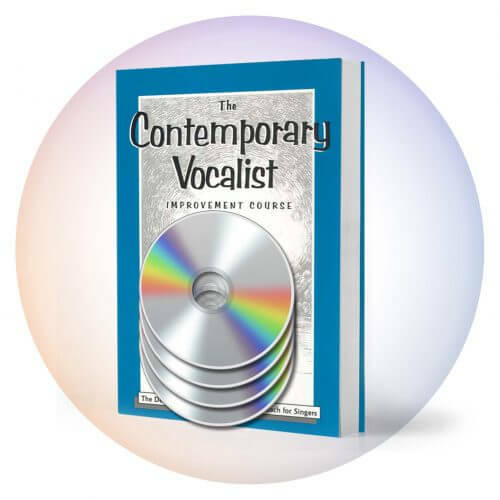 You’ll find them in my Contemporary Vocalist Volume 1 book and CD course which is also available as a Download. 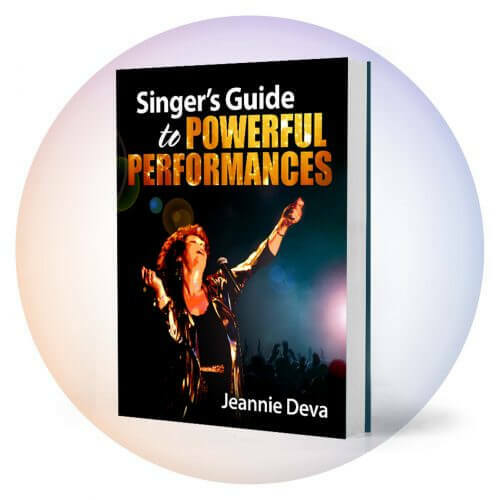 With these exercises you’ll develop a level of breath control that will allow you to move on stage and not become “winded” or out of breath when it’s time to sing. You’ll be able to take faster breaths, sing longer phrases and sustain longer notes without fear of running out of air.